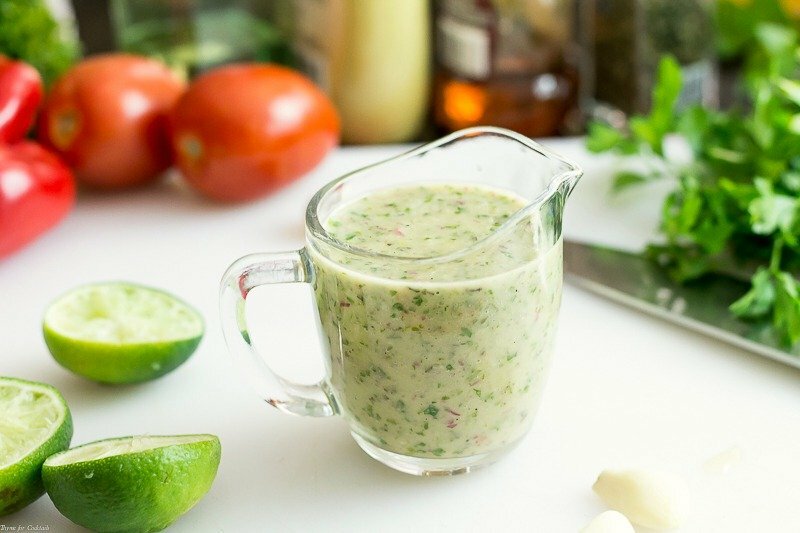 This Honey Lime Vinaigrette is packed full of flavor with fresh lime juice, garlic, Dijon mustard, honey, cilantro and jalapeno peppers; tangy with a hint of sweet heat. My salad mojo has been in full force lately, with lot of fresh veggies from the farmers market and plenty of homemade dressings. 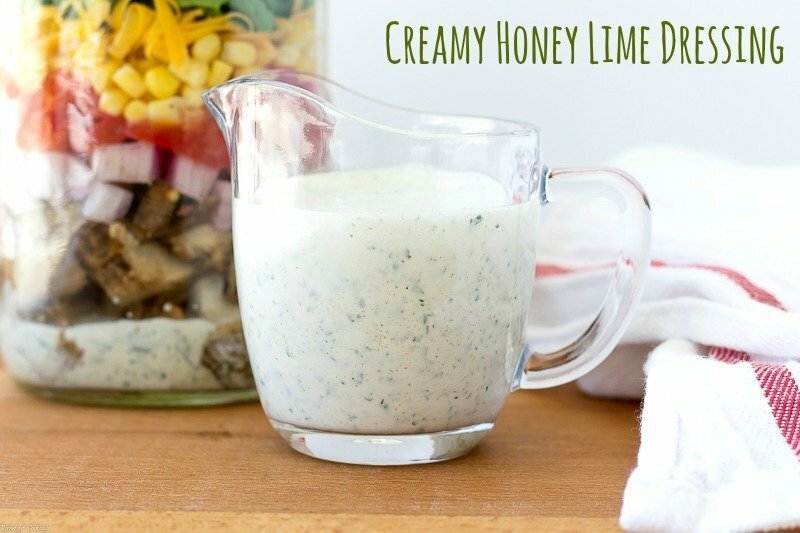 I made a Creamy Honey Lime Dressing the other day that was pretty darn terrific but sometimes you want something a little lighter. 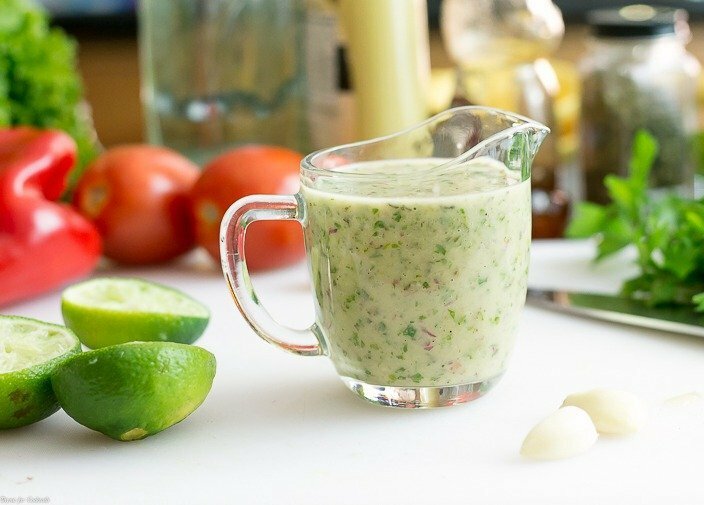 [bctt tweet=”Honey Lime Vinaigrette #homemade #real #foodie” username=”thyme4cocktails”] At least I do! 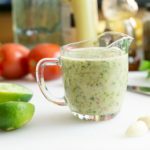 Enter this Honey Lime Vinaigrette, which is just as tangy but without the creamy factor and a little more heat. This version has Dijon mustard, while the other has a sour cream base. But both have tons of fresh lime juice and honey for sweetness. Just wait until you see the salad I topped with it. That post is coming up tomorrow. But in the meantime you could enjoy either dressing on a salad, in a pasta salad, on tacos… of course I mentioned tacos people. It wouldn’t be the casa without them! 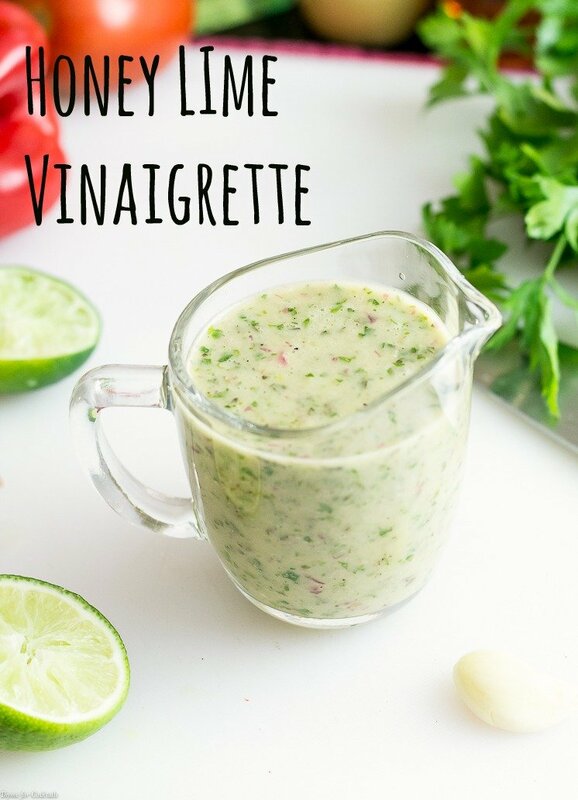 This Honey Lime Vinaigrette is packed full of fresh flavor with fresh lime juice, garlic, Dijon mustard, honey, cilantro and jalapeno peppers; tangy with a hint of sweet heat. Add all ingredients except oil to a food processor. Pulse until finely chopped and combined. Slowly drizzle in oil until combined.